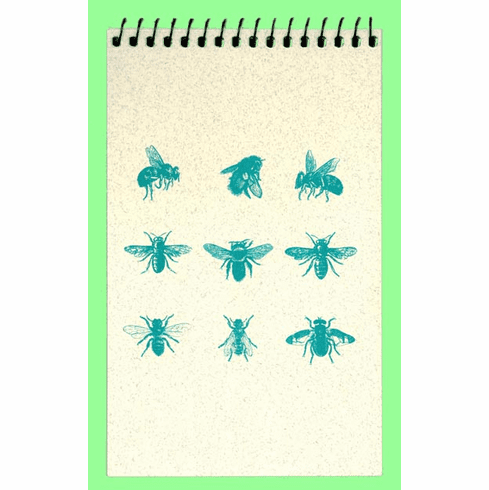 Bee Sketch Pad - Great for all ages to take along on a day hike or on a world tour. Designed and made in the USA from 100% recycled paper and soy ink. The 20 heavy pages have the look and feel of handmade paper with steel spiral binding. Measures 6-1/2" x 4".